It was a quiet neighborhood. Comfortable sitting area on the ground floor. Very close to the station and well placed in the town. It was clean, convenient, low priced, and breakfast was a great value. All interactions were simple and easy. It even had limited parking. A room is really clean. People and staffs are very friendly and nice. In the morning the breakfast is always served and prepared. We really liked the place. It was just overall a great stay. It’s in a great location if you take the train in like we did. It’s a block from everything. You can even walk to the mountain! It was a beautiful 15-20 minutes walk. Can’t beat it! No the bed was not like a cloud it was basic quality. Room was good and so was location. They had their own parking, so that was a plus. This hostel has a very cozy feel and the breakfast is very good. It is very close to the train station. 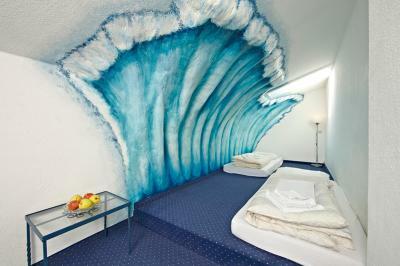 Very clean, comfortable and modern room! Great lighting. 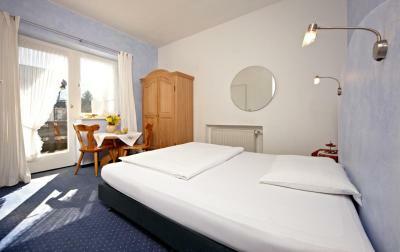 With easy walk of walkplatz and train station. 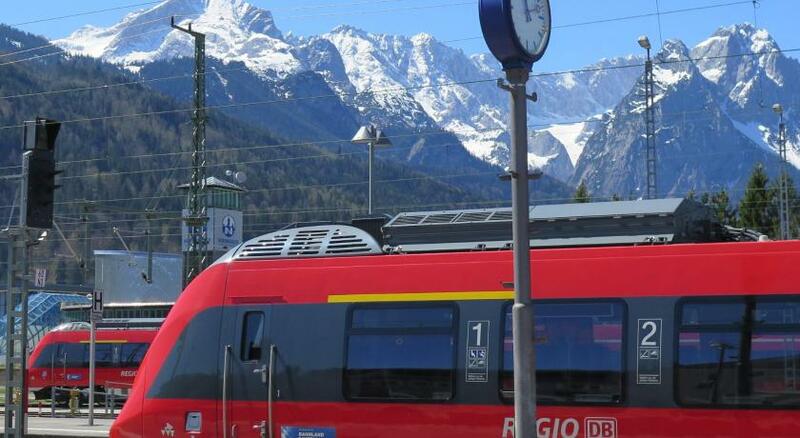 This hostel enjoys a quiet location in Garmisch-Partenkirchen, 850 feet from the train station. Hostel 2962 offers free Wi-Fi, a large garden and free parking. Rooms at Hostel 2962 - Garmisch feature classic décor. A buffet breakfast is served each morning at Hostel 2962. 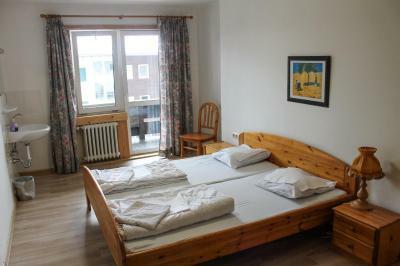 Garmisch Hostel 2962 is an ideal base for hiking, cycling and skiing in the surrounding Bavarian countryside. 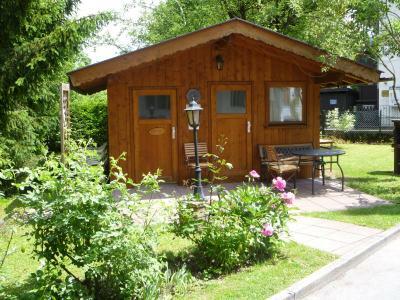 뀐 Located in the top-rated area in Garmisch-Partenkirchen, this property has an excellent location score of 8.7! 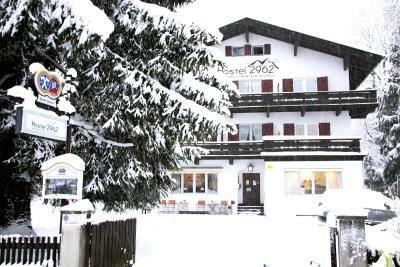 When would you like to stay at Hostel 2962 - Garmisch? Bright room with an private bathroom. Bright room with a private bathroom, a TV and a balcony with mountain views. Two bright rooms with an private bathroom and a balcony with mountain views. Apartment with a kitchen, 3 bedrooms and a bathroom. The 1st bedroom has a double bed, the 2nd bedroom has a double bed and a sofa bed, and the 3rd bedroom has a single bed, and the living room has up to 4 single mattresses. Please note that the apartment is located on an upper level. Simply furnished dormitory room with a balcony and access to shared bathroom facilities. 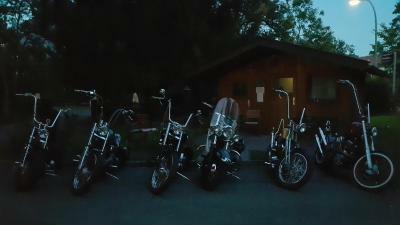 House Rules Hostel 2962 - Garmisch takes special requests – add in the next step! Hostel 2962 - Garmisch accepts these cards and reserves the right to temporarily hold an amount prior to arrival. Please note that there is no elevator in the hostel. Luggage storage is not available. Payment is made on arrival. Late check-in is possible if you contact the hostel in advance. Please note that the hostel might ask you to pay a returnable EUR 25 security deposit for your keys. Children below 2 years of age can stay for free in existing beds. Children below 6 pay only 50% of the daily rate. Minimalist facilities. We had to put duvet covers on ourselves. Electric hob was not working when we arrived. The solution we were shown was to remove the fridge and temporarily unplug the hob behind it. When it stopped working again, we had to remove the fridge again and spent the rest of our one-night stay with fridge in the middle of kitchen entrance. When leaving, had a little chat with a guy who we thought was the owner of the hostel, judging from the way he talked. He seemed to us a bit arrogant and rude, almost accused us of not finding a safety switch for the hob somewhere where it's easily accessible without moving the fridge (he was blaming his colleague who was helping us the day before, but his tone sounded as if we were guilty). Maybe he was just in a bad mood. Good location, nice mountain views. Clean apartment, decent bathroom. 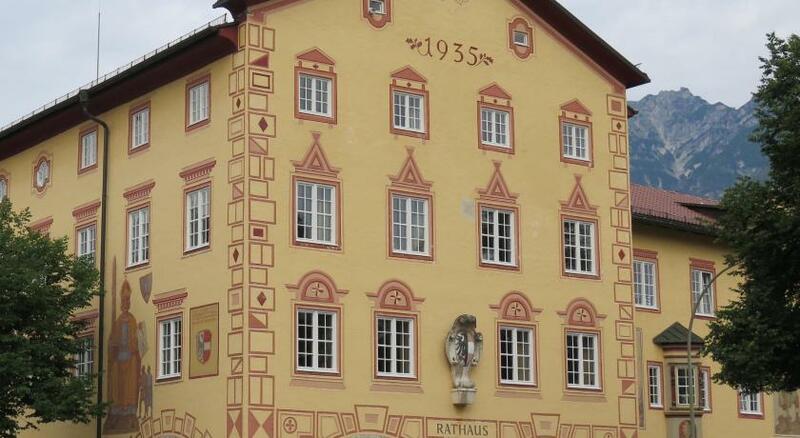 Was the cheapest family-suite option in Garmisch at the time of our booking. There was no soap in the toilets. Everything apart from missing soap in the toilets. 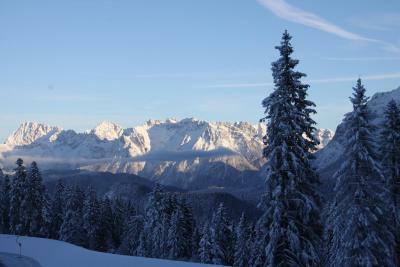 The hotel location is great - 5 minutes from Garmisch-Partenkirchen Bahnhof. Very friendly hotel owner (speaks English, Russian) - there was no problem to leave our luggage after check-out at reception hall . Clean room with balcony and stunning views of the mountains. Thank you very much to Nicholas who helped me with the attraction places for me easy to visit. He is so kind and helpful! See you again soon. Brilliant location and perfect for a weekend away with friends! No soap in the toilets, not even to wash hands. You get just a small towel for the face. The breakfast is very poor. 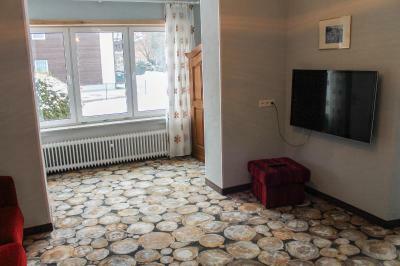 Great location in front of hbf and close to skibus/supermarket. Great location, beautiful old house. Lots of tourist information available in terms of leaflets, guides. A separate area downstairs for seating. The apartement was basic and one room was empty as some kind of a storage space. The price was relatively low considering it was high season, the breakfast was quite ok.